Elizabeth Bachelder, pianist, made her highly successful debut as a child prodigy in a solo piano recital at Carnegie Recital Hall at age 9 and her first appearance with orchestra at the age 12. Selected to study with the renowned Myra Hess, she spent a year in London before returning to New York to study with David Saperton. She completed the Doctor of Musical Arts degree with Eugene List and David Burge at the Eastman School of Music. 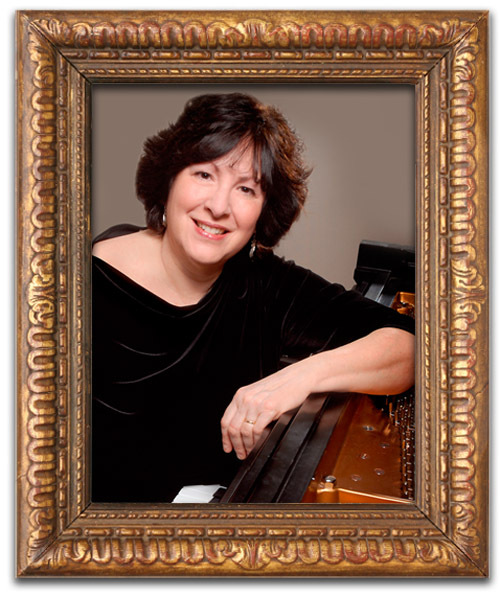 Dr. Bachelder has toured the United States, Canada, Australia, and Europe as solo pianist, as accompanist in lieder recitals and as a chamber musician. She has recorded for Columbia Records and was featured on WQXR-New York and on National Public Radio. She has performed in recital with Metropolitan Opera tenor Arturo Sergi, Australian Opera baritone Roger Lemke, Affiliate Artists Michelle Djokic and John Ferrell and as collaborative pianist with the Audubon, Chester, and Cavani Quartets and the Zagreb Solistii. As founding member and pianist of the Kandinsky Trio, now celebrating its 23rd anniversary season in residence at Roanoke College, Salem, Virginia, Dr. Bachelder has collaborated with such artists as Dawn Upshaw, Gunther Schuller and Theodore Bikel.